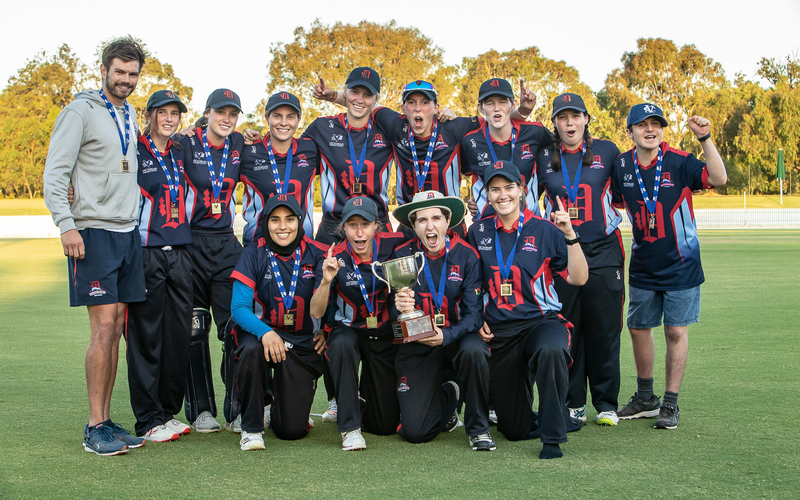 Dandenong has won the Women's Firsts T20 title for 2018-19, accounting for Essendon Maribyrnong Park at the Junction Oval this evening. It was Dandenong's first title since snaring the Agnes McDonnell Tropy in 2012-13 and may be the first of several trophies this season. The Panthers' Men's team plays off for the Super Slam title against the Blues at the MCG on Sunday. Dandenong batted first and battled its way to 8/107. Apart from Sophie Molineux (38 off 30, 5 fours, 1 six) and Chelsea Moscript (24 off 25, 1 four) the batting struggled against experienced campaigners Kristen Beams (4/13 off 4) and Georgia Wareham (2/19 off 4 including a maiden). EMP openers Molly Strano and Jenny Taffs put on 14 for the first wicket to begin solidly, but Irish quick Kimberley Garth (5/10 off 4 overs) wrought some havoc as the score plummeted to 4/16, 5/22 and 6/31 when Briana Binch departed at the halfway mark. Although Makinley Blows was still there, she lacked support and the reintroduction of Sophie Molineux into the attack spelt the end for EMP as she bowled Beams and then caught and bowled Blows to wrap up the title. 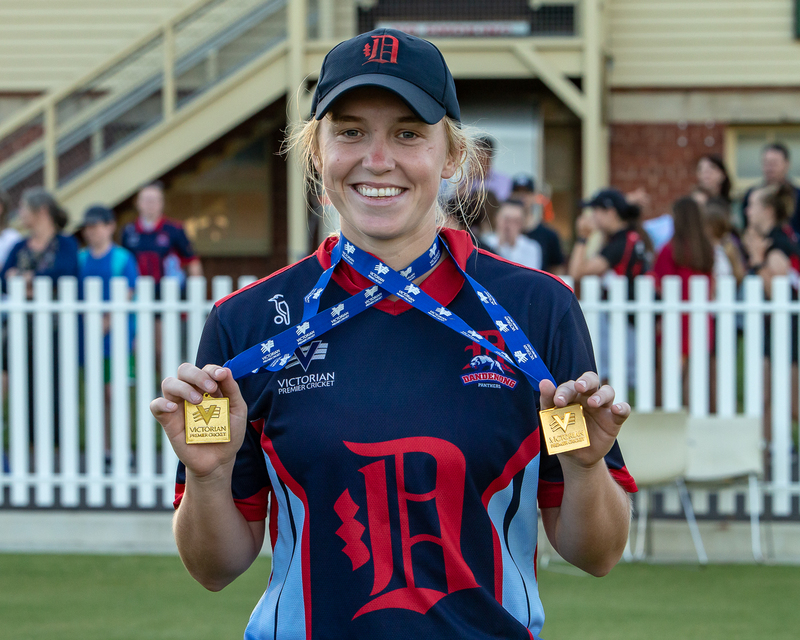 Player of the Final was awarded to Kimberley Garth (pictured below) for her great spell.